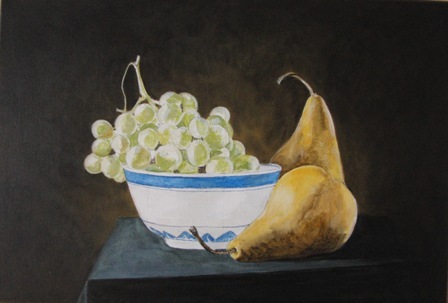 Here is my piece for The Exhibition for Women Artists at El Corte Ingles, Elche, Spain being held in March 2013. In previous years I have shown work that I felt comfortable painting, so decided that for this year I would do something completely different. 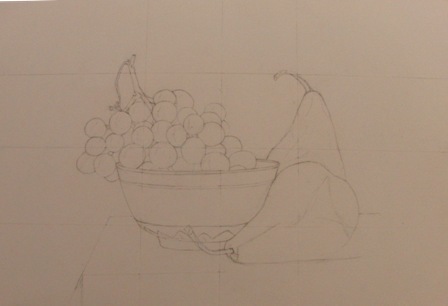 The grapes were a challenge – trying not to make them look like brussel sprouts! 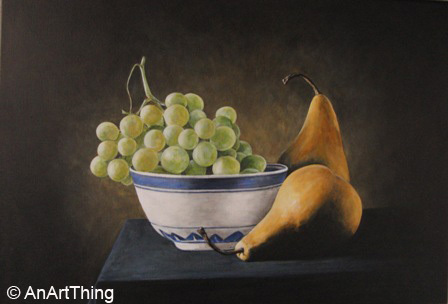 Not entirely happy with it, so I think I’ll leave painting still lifes for a while! Thank you to M Prince for the use of the original photograph.